Compiled by H.E. 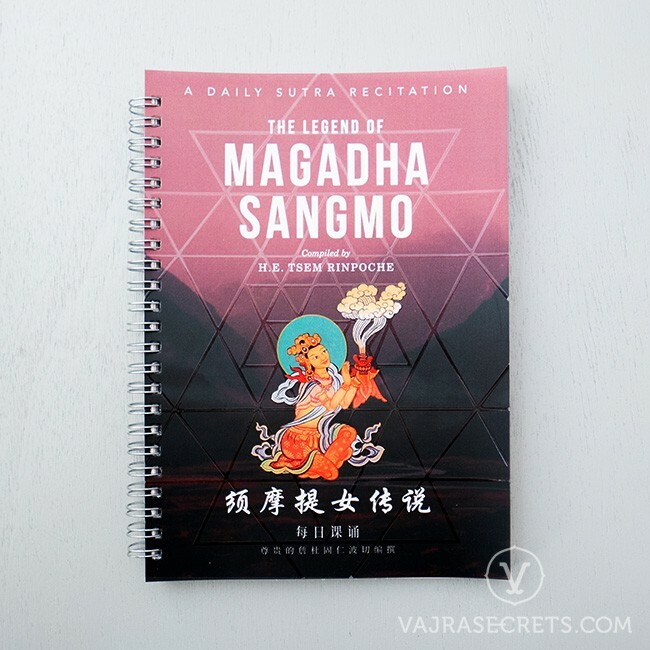 Tsem Rinpoche, this book is a collection of sutras devoted to the legend and deeds of Magadha Sangmo, a female devotee of the historical Buddha Shakyamuni. 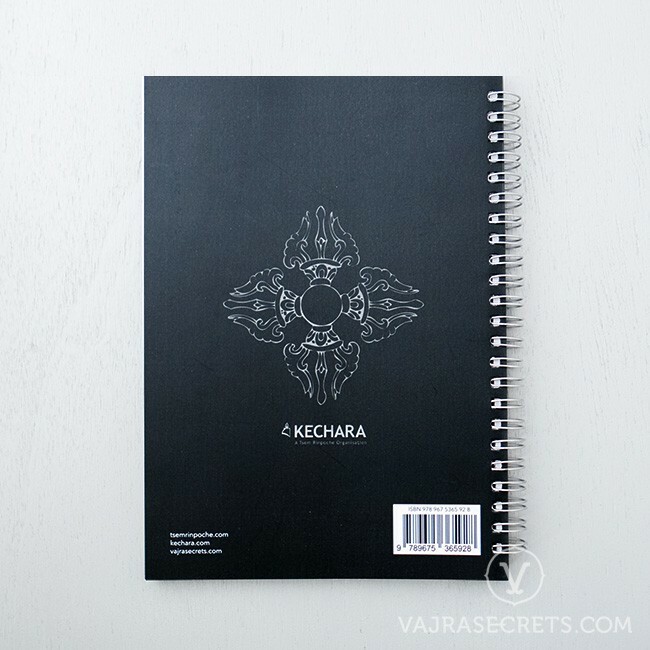 Based on materials sourced from Tibetan, Chinese, Sanskrit and Pali scriptures, this daily sutra recitation book is highly recommended for all to invoke her energy and tap into her blessings. Magadha Sangmo, a female devotee of the historical Buddha Shakyamuni, was known for her unwavering devotion to her spiritual teacher. During her lifetime, she brought a great many people onto the path of Dharma and began the tradition of invocation prayers that are still recited to this day in Tibetan Buddhist monasteries around the world. She is considered to be the first incarnation of the great 17th century master, Tulku Drakpa Gyaltsen, who later arose as the Universal World Peace Protector Dorje Shugden. Compiled by H.E. Tsem Rinpoche, this book is a collection of sutras devoted to her legend and deeds. Based on materials sourced from Tibetan, Chinese, Sanskrit and Pali scriptures, this bilingual daily sutra recitation book is highly recommended for all to invoke her energy and tap into her blessings. No initiations or heavy commitments are necessary to engage in this practice.